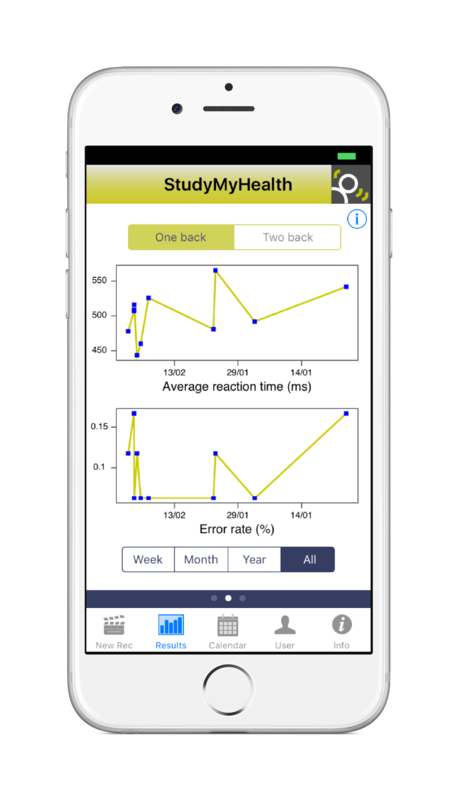 This application uses 2 different tests to quantify your memory. This kind of tests have been introduced as early as 1958 by W.K. Kirchner. In general, a stimulus is presented to the performer (in our case it is a visual stimulus), and the subject has to react as fast as possible if the currently presented stimuls equals the last or the last-last etc. The farther back the symbol is you have to remember, the more difficult is the test.